Epic Games has finally released the latest update for Fortnite. Patch v5.41 brings along a bunch of changes into the mix, and if you’re wondering about everything that’s new in the game, here’s a handy breakdown of what Fortnite v5.41 brings. There’s a new limited time mode in Fortnite now, and it’s called Soaring Solos. The concept is pretty much the same as Soaring 50’s except that this time you’ll be playing Solo instead of in a team of 50 players. As the name suggests, Epic’s focus with Soaring Solos is on letting players maneuver more quickly and easily through the island. In Soaring Solos you’ll find a higher than usual number of bounce pads and launchpads. Plus, you’ll also be able to re-deploy your glider when you’re falling from a height. A new Legendary item has also made its way to the game. 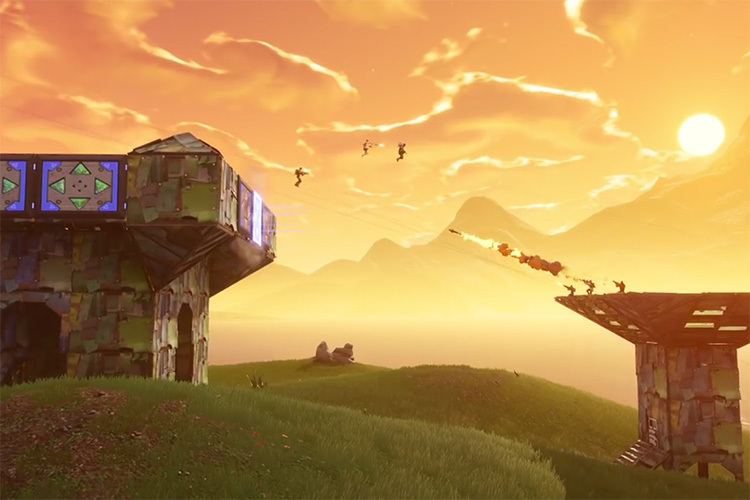 Called Port-a-Fortress, it basically spawns a much bigger version of the Port-a-Fort in the game, complete with bounce pads on the outside of the fortress that you can use to quickly jump towards (or away from) an enemy. The Port-a-Fortress can only be found in Vending Machines, chests, Supply Drops, and Supply Llamas. With the patch v5.40, Epic had made a significant change to the way the Storm works in Fortnite. In the final few circles of a game, the Storm would inflict damage on player built structures as well. However, the change has now been rolled back, and the Storm will no longer inflict damage upon player built structures in the final few circles of the game. 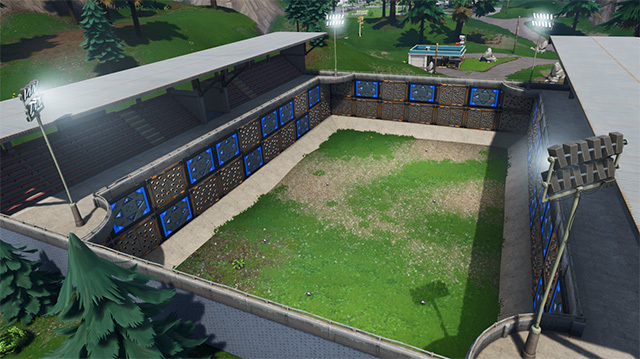 Spiky Stadium will only spawn in red Supply Drops and will be accompanied by a huge number of impulse grenades to make your experience with Spiky Stadium more fun. Along with all of that, there are a bunch of small but noteworthy changes being made to the overall gameplay in Fortnite v5.41. An issue causing a delay when consuming multiple Small Shield Potions has been fixed. Reload audio for the Double Barrel Shotgun no longer plays twice. Fixed an issue causing the reticle to not appear until after you’ve switched weapons. There are some more changes in the new patch as well, along with a bunch of new stuff for Fortnite’s PvE campaign “Save the World.” To read about everything that’s changed with patch 5.41 head over to the official Patch Notes.